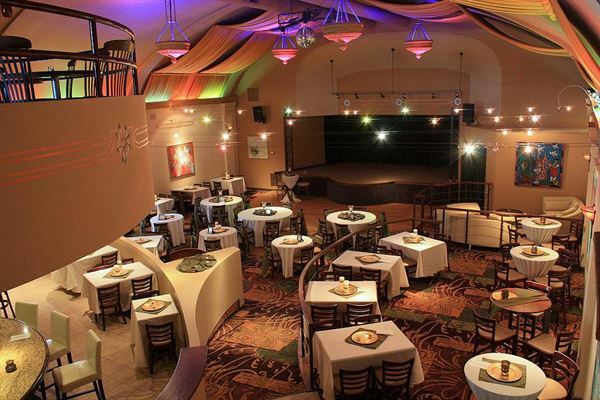 The Philmore on Broadway is Fort Wayne’s premier event and entertainment venue. Whether it’s a wedding ceremony or reception, anniversary celebration, fundraiser, corporate function or class reunion, The Philmore on Broadway offers historic charm and chic elegance for your event. Elegant and affordable multi-use venue for groups of 30-140. You may choose your own caterer or cater yourself. Convenient location on US 24 just 10 minutes from I-69. Lots of free parking. Full bar service and roomy dance floor. Kruse Plaza 7s 200,000 sq ft and features 5 ballrooms and 2 outdoor venues to choose from. Our largest space The Hangar with 30,000 sq. feet can host 1,500 people and tables banquet style. Our most popular venue is the Ballroom at 20,000 sq. feet and accommodates up to 900 people. The other 3 ballrooms are for smaller weddings, parties, meetings, etc. We also are home to 5 museums: the Collection, National Military History Center, Monster Truck Museum, Northeast Indiana Race Car Museum, and the Carl Casper Car Collection that your wedding guests will love to tour. Make your event memorable at The Summit Event Center. Our spaces are diversified to accommodate a specialized wide range of corporate, social and wedding needs. Whether you need space for a board meeting, a creative venue for brainstorming, a large event space for a conference or a wedding, we can help! We’re dedicated to providing best-in-class facilities to our clients and guests. A Premiere, Award Winning Full Service Event & Conference Center! Our facility stands ready to provide your corporate event or wedding reception the highest of quality service for meetings, weddings or social events. Our full service hotel facility will exceed your expectations for quality and service from anywhere in Northeast Indiana. Get ready to enjoy 27 acres of pure relaxation on Indiana's largest natural lake. Use Oakwood Resort for your dream wedding, company conference, family reunion, or just a weekend away. Choose from our seventy-seven elegant hotel rooms, or ten vacation homes. Located on the edge of Lake Wawasee, Oakwood Resort offers panoramic views and sunsets like no other place in Indiana. Enjoy breathtaking lake views from each of our ten vacation homes. Oakwood Resort is located just minutes away from Warsaw or Goshen, Indiana and less than an hour from Fort Wayne and South Bend, Indiana making it the perfect location for visiting the Midwest. Discover the beauty and traditions of lake life and sense of community at our locally-owned and operated resort. Whatever your reason for visiting us, we look forward to making you a part of the Oakwood Resort family.